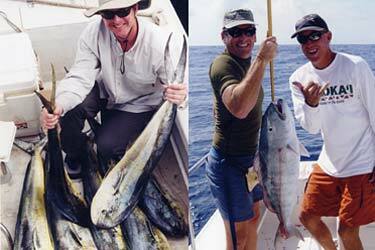 Deep Sea Fishing - Troll the ledges and deep drop-offs surrounding our island for blue water game fish. 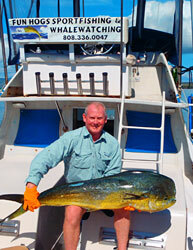 Most frequently caught are the Mahimahi, Ono, Tuna and Marlin. A'u - Several species of Marlin including the Pacific Blue Marlin, Stripped and Black Marlin. 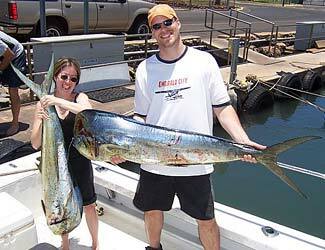 These most spectacular of Hawaii's game fish can reach 700-1,000 pounds. It's the Marlin that brings Hawaii's own fishermen to their feet in exhilaration. 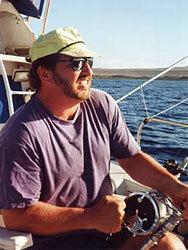 'Ahi - Several species of tuna including Yellowfin, Bigeye, Skipjack and an occasional Albacore. These range in size from the 30 pound Aku (Skipjack) to 200+ pound 'Ahi (Yellowfin). Mahimahi - Known as Dorado to US West Coast fishermen, these guys usually range in size from 15 to 25 pounds, but fish as large as 60-70 pounds are occasionally caught. 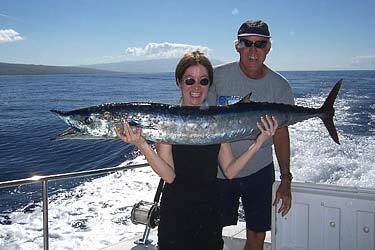 Ono - Also known as Wahoo, are a favorite among Hawaii's fishermen and restaurants. The name Ono means delicious in Hawaiian and it makes an excellent meal. Average size in Hawaiian waters is 25 to 40 pounds and this high speed torpedo is capable of speeds in excess of 50 mph. Year-round activity available in 4, 6 or 8 hours sessions. We provide all the equipment and you can take your catch home for dinner. Book Your Fishing Adventure Now!